CNS is developing Berubicin, a breakthrough drug for the treatment of the most deadly form of brain cancer. Berubicin was created at MD Anderson Cancer Center, the largest cancer and research institute in the world. Berubicin’s Phase I clinical trial yielded promising results showing clinical activity in 44% of patients*. Berubicin is the first of its class of drugs to cross the blood brain barrier (BBB) and reach cancer cells in brain tumor patients. Led by industry leading scientists and executives with decades of experience developing drugs and bringing medical products to market. Signed a collaboration agreement with Reata Pharmaceuticals, a $700M+ NASDAQ listed company, to further advance the development of brain cancer technologies. CNS intends to list on the NASDAQ in 2018. Glioblastoma is the type of brain cancer that killed Senator Ted Kennedy and Vice President Joe Biden’s son. Unfortunately, Senator John McCain was also recently diagnosed with this deadly disease. GBM is the most aggressive and common primary brain cancer in adults. It is highly invasive, virtually incurable, and the primary target for our lead drug candidate Berubicin. Berubicin, was created at the MD Anderson Cancer Center by Dr. Waldemar Priebe. Dr. Priebe is the founder of CNS Pharmaceuticals. An anthracycline is a class of drugs that are among the most effective anticancer treatments ever developed and are effective against more types of cancer than any other class of chemotherapeutic agents for cancers like breast, ovarian, leukemia, lymphoma, testicular, and others. While this class of drugs has been extremely successful at treating even the most aggressive types of cancers, unfortunately in over 60 years of clinical research, anthracyclines have NEVER been shown to cross the blood-brain barrier (BBB) and impact deadly brain cancers… until now. It consisted of 61 patients which were enrolled in two separate studies. Both dose finding and safety were studied in patients with GBM or other brain cancers. Berubicin has also been granted Orphan Drug status by the FDA in the US. In 2018, with the funding to be secured from this equity crowdfunding campaign and a planned NASDAQ IPO, CNS expects to commence its Phase 2(a) clinical trial of Berubicin for the treatment of GBM. In late 2017, CNS entered into a collaboration agreement with Reata Pharmaceuticals, currently a $700M+ NASDAQ listed company, to further advance the development of brain cancer technologies. *Based on all tumor cell lines so far tested, Berubicin has been significantly more potent than doxorubicin, more cytotoxic, and a more potent topoisomerase II poison. At 2 minutes and 44 seconds into the video above, there is an animation that will show you how Berubicin is able to cross the BBB and attack a tumor. What's Currently Being Used To Fight GBM? The current standard for treatment for GBM is surgery, radiation, and chemotherapy with Temozolomide (TMZ). TMZ, the current standard of treatment for GBM, has limited efficacy. Drugs currently used for the treatment of other cancers are not effective for the treatment of brain tumors. The brain’s protective mechanism, the BBB, is responsible for shielding brain tumors from the existing and potential new anti-cancer agents. The BBB makes development of effective drugs for brain tumors very difficult. The lack of progress in the treatment of GBM provides a tremendous opportunity to identify better drugs like Berubicin. If approved, Berubicin has the potential to realize a multi-billion dollar opportunity as a stand-alone or combination therapy for GBM and other cancers. Approximately 40% of GBM patients have a genetic variation, which makes their tumors initially more responsive to Temozolomide (TMZ). TMZ is the current standard of care for these patients. Nearly all of these patients will quickly become resistant to TMZ. Berubicin could be prescribed after TMZ’s failure. In case of the remaining 60% of GBM patients, TMZ is ineffective and Berubicin could be prescribed as a primary drug treatment. In 2009, Schering reported worldwide sales of temozolomide (TMZ) of $1 billion. Current numbers for temozolomide market share may be lower since launch of generics in 2013. As of now, there is no standard of care for recurrent GBM. Bevacizumab (Avastin) is a recently approved by FDA drug for chemotherapy for glioblastoma at relapse; however it does not improve survival. Short-term efficacy of the current standard of treatment and low survival rate of GBM patients and other related central nervous system malignancies, create a significant unmet need and financial opportunity. Berubicin has the potential to become the standard of care treatment for recurrent and TMZ resistant GBM. CNS will plan future clinical trials to establish Berubicin as an upfront treatment for glioblastoma. If approved, CNS believes that Berubicin has the potential to realize a multi-billion dollar opportunity as a stand-alone or combination therapy for GBM and other cancers. John M. Climaco, JD is the CEO of CNS Pharmaceuticals, Inc. For 15 years Mr. Climaco has served in leadership roles in a variety of healthcare companies. Recently Mr. Climaco served as the Executive Vice-President of Perma-Fix Medical S.A where he managed the development of a novel method to produce Technitium-99. Previously Mr. Climaco served as President and CEO of Axial Biotech, Inc., a DNA diagnostics company. In the process of taking Axial from inception to product development to commercialization, Mr. Climaco created strategic partnerships with Medtronic, Johnson & Johnson and Smith & Nephew. Mr. Climaco currently serves as a director of several public companies including Moleculin Biotech, Inc., pharmaceutical company focused on anti-cancer drug candidates. Mr. Climaco also served as a director of PDI, Inc., a provider of outsourced commercial services to pharma companies, and InfuSystem Holdings, Inc., the largest supplier of infusion services to oncologists in the US. Sandra L. Silberman, M.D., Ph.D. is the Chief Medical Officer of CNS Pharmaceuticals. Dr. Silberman is a Hematologist/Oncologist who earned her B.A., Sc.M. and Ph.D. from the Johns Hopkins University School of Arts and Sciences, School of Public Health and School of Medicine, respectively, and her M.D. from Cornell University Medical College, and then completed both a clinical fellowship in Hematology/Oncology as well as a research fellowship in tumor immunology at the Brigham & Women's Hospital and the Dana Farber Cancer Institute in Boston, MA. Dr. Silberman has played key roles in the development of many drugs including Gleevec™, for which she led the global clinical development at Novartis. Dr. Silberman advanced several original, proprietary compounds into Phases I through III during her work with leading biopharmaceutical companies, including Bristol-Myers Squibb, AstraZeneca, Imclone and Roche. Matt Lourie, CPA is the CFO of CNS Pharmaceuticals, Inc. Mr. Lourie has extensive management, accounting and financial experience. Mr. Lourie served as an audit partner of the PCAOB registered firm MaloneBailey where he oversaw audits and financial reporting of SEC registrants. In addition, he served as the Corporate Controller of a public company with over 300 locations across the country. Mr. Lourie is a graduate of the University of Houston where he earned both his Bachelor of Business Administration - Accounting and his Masters of Science in Accounting. Donald Picker, PhD, joined the CNS team in November, 2017 with over 35 years of drug development experience. At Johnson Matthey, Dr. Picker was responsible for the development of Carboplatin, one of the world’s leading cancer drugs, acquired by Bristol-Myers Squibb and with annual sales of over $500 million. He also oversaw the development of Satraplatin and Picoplatin, third-generation platinum drugs currently in late-stage clinical development. Dr. Picker has significant experience in dermatological pharmaceutical discovery and development as well, having led projects for topical therapies in psoriasis, atopic dermatitis and acne. J. George Gumulka, PhD, has more than 30 years of industrial and academic experience primarily in the R&D functions. George is an accomplished technology leader with strong international experience and with an excellent track record of successful new product and application. He has led innovation, technology and supported business efforts at several major global chemical companies including., Royal Dutch Shell/Shell Chemical Company, Kraton Polymers U.S. LLC, and Biospectrum Inc. His experience crosses multiple global industrial sectors including biotechnology, polymer and elastomer applications in consumer products, electronics, general industrial, commercial and residential construction, oil transportation, water purification to name a few. Waldemar Priebe, PhD, Chairman of the Scientific Advisory Board, is a world renowned medicinal chemist and entrepreneur. Dr. Priebe is a Professor of Medicinal Chemistry in the Section of Immunobiology and Drug Carriers in the Department of Bioimmunotherapy at MD Anderson. Dr. Priebe is the inventor of more than 50 patents and the author of more than 200 scientific publications. As the founder or founding scientist of 6 pharmaceutical companies, including three listed on NASDAQ, Dr. Priebe has been integral in advancing several drugs through the pipeline, five of which entered clinical development. Dr. Priebe led the research that formed basis for the development of agents with high brain uptake (BBB crossing) and is the discoverer of our lead drug candidate Berubicin. Sigmund Hsu, MD is fellowship trained and certified by the American Board of Psychiatry and Neurology, with extensive experience in the evaluation and treatment of neurological disorders in cancer patients. He specializes in primary brain tumors as well as brain and spinal cord metastases, cancer neurology and the treatment of chemotherapy neurotoxicity. Dr. Hsu has presented research at several national conferences, and his work has been published in numerous journals and textbooks. His most recent research has focused on novel therapies for recurrent primary CNS lymphoma, recurrent glioblastoma multiforme and intralumbar injections for cancer therapy, and he has several patents granted and pending for his treatments. Our first step is to raise the maximum funding allowed on Republic, which is $1,070,000. This is the campaign that you are currently viewing now. Shortly after, we plan to begin a Regulation A+ equity crowdfunding campaign on Sprout Equity and raise up to $15,000,000. After we close out the Reg A+ fundraising round, we plan on listing on the NASDAQ stock exchange in 2018. The smallest investment amount that CNS Pharma is accepting. CNS Pharma needs to reach their minimum funding goal before the deadline. If they don’t, all investments will be refunded. If a trigger event for CNS Pharma occurs, the discount provision gives investors equity shares (or equal value in cash) at a reduced price. CNS Pharma needs to raise $100K before the deadline. The maximum amount CNS Pharma is willing to raise is $1.07M. Why am I getting the opportunity to invest in this breakthrough discovery? CNS Pharma was founded to bring breakthrough central nervous system drugs to market by utilizing new regulations recently approved by Congress. These new regulations allow individual investors, like yourself, the opportunity to be early stage investors as opposed to wall street bankers and venture capitalists. What is the general timeline for bringing Berubicin to market? Bringing a drug through a clinical trial and ultimately bringing it to market can take several years. 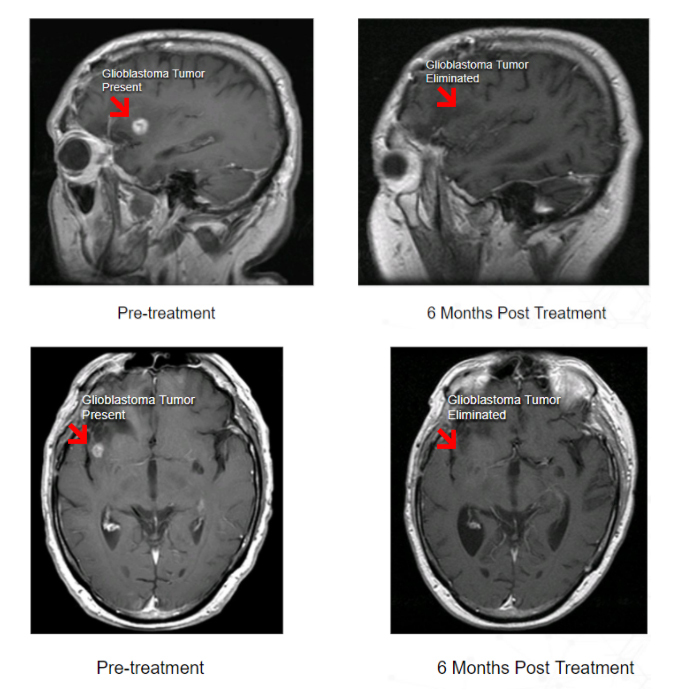 Based on the compelling data relating to the mechanism of action of this novel drug, as well as initial clinical results in the Phase 1 study, this is planned as a multi-center Phase 2 study that will evaluate the efficacy of Berubicin in subjects who have Glioblastoma that has recurred or progressed following prior radiation therapy and temozolomide, which are the standards of care for newly diagnosed Glioblastoma. Approximately sixty (60) patients will be entered. Efficacy will be measured in terms of progression-free survival (PFS), which is a major endpoint in studies of Glioblastoma, using accepted methodology, corticosteroid usage, and neurologic status. All of these are considered important in terms of a disease that after failure of primary therapy is almost uniformly fatal. Median PFS is the primary efficacy endpoint defined as the number of months from the date of the first dose of berubicin to the date of first documentation of an event (progressive disease per standard radiographic criteria or death due to any cause). Note that in Glioblastoma, PFS and overall survival (OS) are strongly correlated, indicating that PFS may be an appropriate surrogate for OS. Compared with OS, PFS offers earlier assessment and higher statistical power at the time of analysis. We intend to keep our shareholders updated with press releases as we progress through the process. Is Berubicin the only planned development or will other drugs be added to the portfolio? No, we plan to license or develop additional Central Nervous System (CNS) anti-cancer drugs in the future to have a more diversified portfolio of drug candidates. How much money do you plan to raise in the future? Subsequent to this fundraising campaign, we plan to raise funds under a Tier 2, Regulation A campaign. Our goal is to raise up to $15,000,000 in that campaign to fund our Phase II trials of Berubicin. What exit strategy would investors possibly have? We plan to begin a Regulation A+ equity crowdfunding campaign on Sprout Equity and raise up to $15,000,000. After we close out the Reg A+ fundraising round, we plan on listing on the NASDAQ stock exchange in 2018, at which time investors could choose to sell their equity position or not. What are the competitors to Berubicin? Berubicin has no competitors that have proven to cure Glioblastoma. That said, the current standard of care involves surgical resection followed by radiation and treatment with Temozolamide. Almost all patients unfortunately still die of the disease following this program. There are also at least 23 ongoing Phase II or Phase III clinical trials of different combinations of drugs, any one of which might be effective against Glioblastoma. Of the many previous clinical trials, none have successfully provided a cure for Glioblastoma. This doesn’t seem like a lot of capital to raise to develop a drug. What will this money be used for? This capital will be used to fund early work needed to prepare for Berubicin’s Phase II Clinical Trial. This may include beginning production on the basic materials used to create Berubicin, paying the salaries of employees and general & administrative expenses. We have a tremendous advantage in that our collaboration agreement with Reata Pharmaceuticals enables us to use all the data from their 2009 Phase I study of Berubicin. As we mentioned earlier, we also intend to complete an IPO with an offering of up to $15,000,000 later this year. Those funds will be used in part to conduct this development work. What is the market size for the treatment of brain cancer? We believe Berubicin has the potential to become the standard of care treatment for recurrent and Temozolomide (TMZ) resistant Glioblastoma. CNS will plan future clinical trials to establish Berubicin as an upfront treatment for Glioblastoma. Based on currently available sales figures for TMZ, if approved, the initial market size for Berubicin could be up to $1 billion. Upon the completion of this offering, we intend to pursue another offering pursuant to Regulation A of the Securities Act, and if we are unsuccessful in completing such follow_on offering, our company will likely fail and the Securities you are purchasing in this offering will likely become worthless. Upon the completion of this offering, we intend to pursue a follow_on offering pursuant to Regulation A of the Securities Act. A significant portion of the proceeds from this offering will be utilized to pay for the preparation, filing and marketing of the Regulation A offering. Our business plan requires us to raise substantial additional financing in the Regulation A offering, and if we are unsuccessful in raising such additional financing, we will be unable to execute our business plan and we will likely cease operations. In accordance with the terms of the Securities, investors in this offering will be eligible to receive common stock in the Regulation A offering, provided that we raise at least $8.0 million in such offering. If we are successful in raising at least $8.0 million in the Regulation A offering, investors in this offering will be required to convert their Securities into our common stock. At such time, we will be an early_stage biotechnology company with limited financial resources. If we are unsuccessful in raising at least $8.0 million in the Regulation A offering, investors in this offering will not be permitted to convert their Securities into our common stock, which means they will be required to hold their investment in the Securities for an indefinite period of time. Our rights to Berubicin are dependent on our raising $7.0 million, and as such even if we complete the maximum offering, we will still need to raise an additional $6.0 million in a follow-on offering. On December 28, 2017, we obtained the rights to a worldwide, exclusive royalty_bearing, license to the chemical compound commonly known as Berubicin from HPI in an agreement we refer to as the HPI License. Under the HPI License we obtained the exclusive right to develop certain patented chemical compounds for use in the treatment of cancer anywhere in the world. Our rights pursuant to the HPI License are contingent on us raising at least $7.0 million within 12 months from the effective date of the HPI License, a date which can be extended by an additional 12 months by the payment of a nominal fee. The license also bears royalties. Based on the terms of the HPI License, our rights to Berubicin are dependent on our raising $7.0 million. As this offering has a maximum of approximately $1.0 million, even if we complete the maximum offering, we will still need to raise an additional $6.0 million in a follow-on offering in order to meet the contingency in the HPI License that grants us the rights to Berubicin. As our business plan is currently entirely dependent on Berubicin, investors in this Offering will be investing in our company without any assurance that we will meet the $7.0 million contingency in the HPI License. If we fail to meet the $7.0 million contingency in the HPI Agreement, our company existing contractual rights will be worthless, substantially affecting our company's valuation and likely leading to the loss of your entire investment. We will require substantial additional funding, which may not be available to us on acceptable terms, or at all, and, if not so available, may require us to delay, limit, reduce or cease our operations. We intend to use the proceeds from this offering to pay for the preparation, filing and marketing of the Regulation A offering, and we intend to use the proceeds from the Regulation A offering to, among other uses, advance Berubicin through clinical development. Developing pharmaceutical products, including conducting pre-clinical studies and clinical trials, is expensive. We will require substantial additional future capital in order to complete clinical development and commercialize Berubicin. If the FDA requires that we perform additional nonclinical studies or clinical trials, our expenses would further increase beyond what we currently expect and the anticipated timing of any potential approval of Berubicin would likely be delayed. Further, there can be no assurance that the costs we will need to incur to obtain regulatory approval of Berubicin will not increase. We will continue to require substantial additional capital to continue our clinical development and commercialization activities. Because successful development of our product candidates is uncertain, we are unable to estimate the actual amount of funding we will require to complete research and development and commercialize our products under development. The amount and timing of our future funding requirements will depend on many factors, including but not limited to: '	whether our plan for clinical trials will be completed on a timely basis; '	whether we are successful in obtaining an accelerated approval pathway with the FDA related to Berubicin; '	the progress, costs, results of and timing of our clinical trials for Berubicin; '	the outcome, costs and timing of seeking and obtaining FDA and any other regulatory approvals; '	the costs associated with securing and establishing commercialization and manufacturing capabilities; '	market acceptance of our product candidates; '	the costs of acquiring, licensing or investing in businesses, products, product candidates and technologies; '	our ability to maintain, expand and enforce the scope of our intellectual property portfolio, including the amount and timing of any payments we may be required to make, or that we may receive, in connection with the licensing, filing, prosecution, defense and enforcement of any patents or other intellectual property rights; '	our need and ability to hire additional management and scientific and medical personnel; '	the effect of competing drug candidates and new product approvals; '	our need to implement additional internal systems and infrastructure, including financial and reporting systems; and '	the economic and other terms, timing of and success of our existing licensing arrangements and any collaboration, licensing or other arrangements into which we may enter in the future. Some of these factors are outside of our control. We may seek additional funding through a combination of equity offerings, debt financings, government or other third_party funding, commercialization, marketing and distribution arrangements and other collaborations, strategic alliances and licensing arrangements. Additional funding may not be available to us on acceptable terms or at all. In addition, the terms of any financing may adversely affect the holdings or the rights of our stockholders. If we are unable to obtain funding on a timely basis, we may be required to significantly curtail one or more of our research or development programs. We also could be required to seek funds through arrangements with collaborative partners or otherwise that may require us to relinquish rights to some of our technologies or product candidates or otherwise agree to terms unfavorable to us. We have in the past completed related party transactions that were not conducted on an arm' s length basis. We acquired the patent rights to Berubicin pursuant to a license agreement with Houston Pharmaceuticals, Inc., a company affiliated with our largest shareholder. Due to the relationship between our company and Houston Pharmaceuticals, Inc., the negotiation of the license agreement was not conducted on an arm' s length basis. As such, it is possible that the terms were less favorable to us than in a transaction negotiated in an arm' s length transaction. We have never been profitable, we have no products approved for commercial sale, and we have not generated any revenue from product sales. As a result, our ability to reduce our losses and reach profitability is unproven, and we may never achieve or sustain profitability. We have never been profitable and do not expect to be profitable in the foreseeable future. We have not yet submitted any drug candidates for approval by regulatory authorities in the United States or elsewhere. To date, we have devoted most of our financial resources to corporate overhead. We have not generated any revenues from product sales. We expect to continue to incur losses for the foreseeable future, and we expect these losses to increase as we continue our development of, and seek regulatory approvals for Berubicin, prepare for and begin the commercialization of any approved products, and add infrastructure and personnel to support our continuing product development efforts. We anticipate that any such losses could be significant for the next several years. If Berubicin or any of our other drug candidates fail in clinical trials or does not gain regulatory approval, or if our drug candidates do not achieve market acceptance, we may never become profitable. As a result of the foregoing, we expect to continue to experience net losses and negative cash flows for the foreseeable future. These net losses and negative cash flows have had, and will continue to have, an adverse effect on our stockholders' equity and working capital. Because of the numerous risks and uncertainties associated with pharmaceutical product development, we are unable to accurately predict the timing or amount of increased expenses or when, or if, we will be able to achieve profitability. In addition, our expenses could increase if we are required by the FDA to perform studies or trials in addition to those currently expected, or if there are any delays in completing our clinical trials or the development of any of our drug candidates. The amount of future net losses will depend, in part, on the rate of future growth of our expenses and our ability to generate revenues. We have no operating history and we expect a number of factors to cause our operating results to fluctuate on an annual basis, which may make it difficult to predict our future performance. We are a pre-clinical pharmaceutical company with no operating history. Our operations to date have been limited to acquiring our technology portfolio. We have not yet commenced any clinical trials or obtained any regulatory approvals for any of our drug candidates. Consequently, any predictions made about our future success or viability may not be as accurate as they could be if we had a longer operating history or approved products on the market. Our operating results are expected to significantly fluctuate from quarter_to_quarter or year_to_year due to a variety of factors, many of which are beyond our control. Factors relating to our business that may contribute to these fluctuations include: '	any delays in regulatory review and approval of our product candidates in clinical development, including our ability to receive approval from the FDA for Berubicin; '	delays in the commencement, enrollment and timing of clinical trials; '	difficulties in identifying patients suffering from our target indications; '	the success of our clinical trials through all phases of clinical development; '	potential side effects of our product candidate that could delay or prevent approval or cause an approved drug to be taken off the market; '	our ability to obtain additional funding to develop drug candidates; '	our ability to identify and develop additional drug candidates beyond Berubicin; '	competition from existing products or new products that continue to emerge; '	our ability to adhere to clinical trial requirements directly or with third parties such as contract research organizations (CROs); '	our ability to establish or maintain collaborations, licensing or other arrangements; '	our ability to defend against any challenges to our intellectual property including, claims of patent infringement; '	our ability to enforce our intellectual property rights against potential competitors; '	our ability to secure additional intellectual property protection for our developing drug candidates and associated technologies; '	our ability to attract and retain key personnel to manage our business effectively; and '	potential product liability claims. These factors are our best estimates of possible factors, but cannot be considered a complete recitation of possible factors that could affect the Company. Accordingly, the results of any historical quarterly or annual periods should not be relied upon as indications of future operating performance. We cannot be certain that Berubicin will receive regulatory approval, and without regulatory approval we will not be able to market Berubicin. Our business currently depends largely on the successful development and commercialization of Berubicin. Our ability to generate revenue related to product sales, if ever, will depend on the successful development and regulatory approval of Berubicin for the treatment of glioblastoma. We currently have no products approved for sale and we cannot guarantee that we will ever have marketable products. The development of a product candidate and issues relating to its approval and marketing are subject to extensive regulation by the FDA in the United States and regulatory authorities in other countries, with regulations differing from country to country. We are not permitted to market our product candidates in the United States until we receive approval of a NDA from the FDA. We have not submitted any marketing applications for any of our product candidates. NDAs must include extensive pre-clinical and clinical data and supporting information to establish the product candidate' s safety and effectiveness for each desired indication. NDAs must also include significant information regarding the chemistry, manufacturing and controls for the product. Obtaining approval of a NDA is a lengthy, expensive and uncertain process, and we may not be successful in obtaining approval. The FDA review processes can take years to complete and approval is never guaranteed. If we submit a NDA to the FDA, the FDA must decide whether to accept or reject the submission for filing. We cannot be certain that any submissions will be accepted for filing and review by the FDA. Regulators in other jurisdictions have their own procedures for approval of product candidates. Even if a product is approved, the FDA may limit the indications for which the product may be marketed, require extensive warnings on the product labeling or require expensive and time_consuming clinical trials or reporting as conditions of approval. Regulatory authorities in countries outside of the United States and Europe also have requirements for approval of drug candidates with which we must comply with prior to marketing in those countries. Obtaining regulatory approval for marketing of a product candidate in one country does not ensure that we will be able to obtain regulatory approval in any other country. In addition, delays in approvals or rejections of marketing applications in the United States, Europe or other countries may be based upon many factors, including regulatory requests for additional analyses, reports, data, pre-clinical studies and clinical trials, regulatory questions regarding different interpretations of data and results, changes in regulatory policy during the period of product development and the emergence of new information regarding our product candidates or other products. Also, regulatory approval for any of our product candidates may be withdrawn. If we are unable to obtain approval from the FDA, or other regulatory agencies, for Berubicin and our other product candidates, or if, subsequent to approval, we are unable to successfully commercialize Berubicin or our other product candidates, we will not be able to generate sufficient revenue to become profitable or to continue our operations, likely resulting in the total loss of principal for our investors. Any statements in this filing indicating that Berubicin has demonstrated preliminary evidence of efficacy are our own and are not based on the FDA's or any other comparable governmental agency's assessment of Berubicin and do not indicate that Berubicin will achieve favorable efficacy results in any later stage trials or that the FDA or any comparable agency will ultimately determine that Berubicin is effective for purposes of granting marketing approval. Delays in the commencement, enrollment and completion of clinical trials could result in increased costs to us and delay or limit our ability to obtain regulatory approval for Berubicin and our other product candidates. Delays in the commencement, enrollment and completion of clinical trials could increase our product development costs or limit the regulatory approval of our product candidates. We do not know whether any future trials or studies of our other product candidates will begin on time or will be completed on schedule, if at all. The start or end of a clinical study is often delayed or halted due to changing regulatory requirements, manufacturing challenges, including delays or shortages in available drug product, required clinical trial administrative actions, slower than anticipated patient enrollment, changing standards of care, availability or prevalence of use of a comparative drug or required prior therapy, clinical outcomes or financial constraints. For instance, delays or difficulties in patient enrollment or difficulties in retaining trial participants can result in increased costs, longer development times or termination of a clinical trial. Clinical trials of a new product candidate require the enrollment of a sufficient number of patients, including patients who are suffering from the disease the product candidate is intended to treat and who meet other eligibility criteria. Rates of patient enrollment are affected by many factors, including the size of the patient population, the eligibility criteria for the clinical trial, that include the age and condition of the patients and the stage and severity of disease, the nature of the protocol, the proximity of patients to clinical sites and the availability of effective treatments and/or availability of investigational treatment options for the relevant disease. A product candidate can unexpectedly fail at any stage of pre-clinical and clinical development. The historical failure rate for product candidates is high due to scientific feasibility, safety, efficacy, changing standards of medical care and other variables. The results from preclinical testing or early clinical trials of a product candidate may not predict the results that will be obtained in later phase clinical trials of the product candidate. We, the FDA or other applicable regulatory authorities may suspend clinical trials of a product candidate at any time for various reasons, including, but not limited to, a belief that subjects participating in such trials are being exposed to unacceptable health risks or adverse side effects, or other adverse initial experiences or findings. We may not have the financial resources to continue development of, or to enter into collaborations for, a product candidate if we experience any problems or other unforeseen events that delay or prevent regulatory approval of, or our ability to commercialize, product candidates, including, but not limited to: '	inability to obtain sufficient funds required for a clinical trial; '	inability to reach agreements on acceptable terms with prospective CROs and trial sites, the terms of which can be subject to extensive negotiation and may vary significantly among different CROs and trial sites; '	negative or inconclusive results from our clinical trials or the clinical trials of others for product candidates similar to ours, leading to a decision or requirement to conduct additional preclinical testing or clinical trials or abandon a program; '	serious and unexpected drug_related side effects experienced by subjects in our clinical trials or by individuals using drugs similar to our product candidates; '	conditions imposed by the FDA or comparable foreign authorities regarding the scope or design of our clinical trials; '	delays in enrolling research subjects in clinical trials; '	high drop_out rates and high fail rates of research subjects; '	inadequate supply or quality of product candidate components or materials or other supplies necessary for the conduct of our clinical trials; '	greater than anticipated clinical trial costs; '	poor effectiveness of our product candidates during clinical trials; or '	unfavorable FDA or other regulatory agency inspection and review of a clinical trial site or vendor. We have never conducted a clinical trial or submitted an NDA before, and any product candidate we advance through clinical trials may not have favorable results in later clinical trials or receive regulatory approval. Clinical failure can occur at any stage of our clinical development. Clinical trials may produce negative or inconclusive results, and our collaborators or we may decide, or regulators may require us, to conduct additional clinical trials or nonclinical studies. In addition, data obtained from trials and studies are susceptible to varying interpretations, and regulators may not interpret our data as favorably as we do, which may delay, limit or prevent regulatory approval. Success in preclinical studies and early clinical trials does not ensure that subsequent clinical trials will generate the same or similar results or otherwise provide adequate data to demonstrate the efficacy and safety of a product candidate. A number of companies in the pharmaceutical industry, including those with greater resources and experience than us, have suffered significant setbacks in clinical trials, even after seeing promising results in earlier clinical trials. In addition, the design of a clinical trial can determine whether its results will support approval of a product and flaws in the design of a clinical trial may not become apparent until the clinical trial is well advanced. We may be unable to design and execute a clinical trial to support regulatory approval. Further, clinical trials of potential products often reveal that it is not practical or feasible to continue development efforts. If Berubicin is found to be unsafe or lack efficacy, we will not be able to obtain regulatory approval for it and our business would be harmed. In some instances, there can be significant variability in safety and/or efficacy results between different trials of the same product candidate due to numerous factors, including changes in trial protocols, differences in composition of the patient populations, adherence to the dosing regimen and other trial protocols and the rate of dropout among clinical trial participants. We do not know whether any clinical trials we or any of our potential future collaborators may conduct will demonstrate the consistent or adequate efficacy and safety that would be required to obtain regulatory approval and market any products. If we are unable to bring Berubicin to market, or to acquire other products that are on the market or can be developed, our ability to create long_term stockholder value will be limited. Our product candidates may have undesirable side effects that may delay or prevent marketing approval, or, if approval is received, require them to be taken off the market, require them to include safety warnings or otherwise limit their sales. Unforeseen side effects from any of our product candidates could arise either during clinical development or, if Berubicin is approved, after the approved product has been marketed. The range and potential severity of possible side effects from therapies such as Berubicin are significant. If Berubicin causes undesirable or unacceptable side effects in the future, this could interrupt, delay or halt clinical trials and result in the failure to obtain or suspension or termination of marketing approval from the FDA and other regulatory authorities, or result in marketing approval from the FDA and other regulatory authorities only with restrictive label warnings. If any of our product candidates receives marketing approval and we or others later identify undesirable or unacceptable side effects caused by such products: '	regulatory authorities may require the addition of labeling statements, specific warnings, a contraindication or field alerts to physicians and pharmacies; '	we may be required to change instructions regarding the way the product is administered, conduct additional clinical trials or change the labeling of the product; '	we may be subject to limitations on how we may promote the product; '	sales of the product may decrease significantly; '	regulatory authorities may require us to take our approved product off the market; '	we may be subject to litigation or product liability claims; and '	our reputation may suffer. Any of these events could prevent us or our potential future collaborators from achieving or maintaining market acceptance of the affected product or could substantially increase commercialization costs and expenses, which in turn could delay or prevent us from generating significant revenues from the sale of our products. If the FDA does not find the manufacturing facilities of our future contract manufacturers acceptable for commercial production, we may not be able to commercialize any of our product candidates. We do not have any manufacturing capabilities and we do not intend to manufacture the pharmaceutical products that we plan to sell. We intend to utilize contract manufacturers for the production of the active pharmaceutical ingredients and the formulation of drug product for our trials of Berubicin that we will need to conduct prior to seeking regulatory approval. However, we do not have agreements for supplies of Berubicin or any of our other product candidates and we may not be able to reach agreements with these or other contract manufacturers for sufficient supplies to commercialize Berubicin if it is approved. Additionally, the facilities used by any contract manufacturer to manufacture Berubicin or any of our other product candidates must be the subject of a satisfactory inspection before the FDA approves the product candidate manufactured at that facility. We will be completely dependent on these third_party manufacturers for compliance with the requirements of U.S. and non_U.S. regulators for the manufacture of our finished products. If our manufacturers cannot successfully manufacture material that conform to our specifications and the FDA' s current good manufacturing practice standards, or cGMP, and other requirements of any governmental agency whose jurisdiction to which we are subject, our product candidates will not be approved or, if already approved, may be subject to recalls. Reliance on third_party manufacturers entails risks to which we would not be subject if we manufactured our product candidates, including: '	the possibility that we are unable to enter into a manufacturing agreement with a third party to manufacture our product candidates; '	the possible breach of the manufacturing agreements by the third parties because of factors beyond our control; and '	the possibility of termination or nonrenewal of the agreements by the third parties before we are able to arrange for a qualified replacement third_party manufacturer. Any of these factors could cause the delay of approval or commercialization of our product candidates, cause us to incur higher costs or prevent us from commercializing our product candidates successfully. Furthermore, if any of our product candidates are approved and contract manufacturers fail to deliver the required commercial quantities of finished product on a timely basis at commercially reasonable prices and we are unable to find one or more replacement manufacturers capable of production at a substantially equivalent cost, in substantially equivalent volumes and quality and on a timely basis, we would likely be unable to meet demand for our products and could lose potential revenue. It may take several years to establish an alternative source of supply for our product candidates and to have any such new source approved by the government agencies that regulate our products. We have no sales, marketing or distribution experience and we will have to invest significant resources to develop those capabilities or enter into acceptable third_party sales and marketing arrangements. We have no sales, marketing or distribution experience. To develop sales, distribution and marketing capabilities, we will have to invest significant amounts of financial and management resources, some of which will need to be committed prior to any confirmation that Berubicin or any of our other product candidates will be approved by the FDA. For product candidates where we decide to perform sales, marketing and distribution functions ourselves or through third parties, we could face a number of additional risks, including that we or our third_party sales collaborators may not be able to build and maintain an effective marketing or sales force. If we use third parties to market and sell our products, we may have limited or no control over their sales, marketing and distribution activities on which our future revenues may depend. We may not be successful in establishing and maintaining development and commercialization collaborations, which could adversely affect our ability to develop certain of our product candidates and our financial condition and operating results. Because developing pharmaceutical products, conducting clinical trials, obtaining regulatory approval, establishing manufacturing capabilities and marketing approved products are expensive, we may seek to enter into collaborations with companies that have more experience. Additionally, if any of our product candidates receives marketing approval, we may enter into sales and marketing arrangements with third parties with respect to our unlicensed territories. If we are unable to enter into arrangements on acceptable terms, if at all, we may be unable to effectively market and sell our products in our target markets. We expect to face competition in seeking appropriate collaborators. Moreover, collaboration arrangements are complex and time consuming to negotiate, document and implement and they may require substantial resources to maintain. We may not be successful in our efforts to establish and implement collaborations or other alternative arrangements for the development of our product candidates. One or more of our collaboration partners may not devote sufficient resources to the commercialization of our product candidates or may otherwise fail in their commercialization. The terms of any collaboration or other arrangement that we establish may contain provisions that are not favorable to us. In addition, any collaboration that we enter into may be unsuccessful in the development and commercialization of our product candidates. In some cases, we may be responsible for continuing pre-clinical and initial clinical development of a product candidate or research program under a collaboration arrangement, and the payment we receive from our collaboration partner may be insufficient to cover the cost of this development. If we are unable to reach agreements with suitable collaborators for our product candidates, we would face increased costs, we may be forced to limit the number of our product candidates we can commercially develop or the territories in which we commercialize them. As a result, we might fail to commercialize products or programs for which a suitable collaborator cannot be found. If we fail to achieve successful collaborations, our operating results and financial condition could be materially and adversely affected. 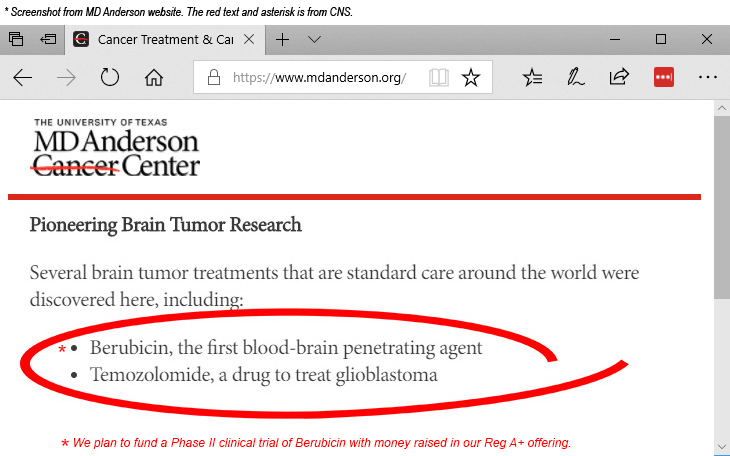 Our success depends greatly on the success of Berubicin' s development for the treatment of glioblastoma, and our pipeline of product candidates beyond this lead indication is extremely early stage and limited. Other than Berubicin, we do not have any other drug candidates in our portfolio. As such, we are dependent on the success of Berubicin in the near term. We cannot provide you any assurance that we will be able to successfully advance Berubicin through the development process. The biotechnology and pharmaceutical industries are intensely competitive and subject to rapid and significant technological change. We have competitors in the United States, Europe and other jurisdictions, including major multinational pharmaceutical companies, established biotechnology companies, specialty pharmaceutical and generic drug companies and universities and other research institutions. Many of our competitors have greater financial and other resources, such as larger research and development staff and more experienced marketing and manufacturing organizations than we do. Large pharmaceutical companies, in particular, have extensive experience in clinical testing, obtaining regulatory approvals, recruiting patients and manufacturing pharmaceutical products. These companies also have significantly greater research, sales and marketing capabilities and collaborative arrangements in our target markets with leading companies and research institutions. Established pharmaceutical companies may also invest heavily to accelerate discovery and development of novel compounds or to in_license novel compounds that could make the product candidates that we develop obsolete. As a result of all of these factors, our competitors may succeed in obtaining patent protection and/or FDA approval or discovering, developing and commercializing drugs for the diseases that we are targeting before we do or may develop drugs that are deemed to be more effective or gain greater market acceptance than ours. Smaller or early_stage companies may also prove to be significant competitors, particularly through collaborative arrangements with large, established companies. In addition, many universities and private and public research institutes may become active in our target disease areas. Our competitors may succeed in developing, acquiring or licensing on an exclusive basis, technologies and drug products that are more effective or less costly than any of our product candidates that we are currently developing or that we may develop, which could render our products obsolete or noncompetitive. If our competitors market products that are more effective, safer or less expensive or that reach the market sooner than our future products, if any, we may not achieve commercial success. In addition, because of our limited resources, it may be difficult for us to stay abreast of the rapid changes in each technology. If we fail to stay at the forefront of technological change, we may be unable to compete effectively. Technological advances or products developed by our competitors may render our technologies or product candidates obsolete, less competitive or not economical. We may incur substantial costs as a result of litigation or other proceedings relating to patent and other intellectual property rights. We may from time to time seek to enforce our intellectual property rights against infringers when we determine that a successful outcome is probable and may lead to an increase in the value of the intellectual property. If we choose to enforce our patent rights against a party, then that individual or company has the right to ask the court to rule that such patents are invalid or should not be enforced. Additionally, the validity of our patents and the patents we have licensed may be challenged if a petition for post grant proceedings such as inter_partes review and post grant review is filed within the statutorily applicable time with the U.S. Patent and Trademark Office (USPTO). These lawsuits and proceedings are expensive and would consume time and resources and divert the attention of managerial and scientific personnel even if we were successful in stopping the infringement of such patents. In addition, there is a risk that the court will decide that such patents are not valid and that we do not have the right to stop the other party from using the inventions. There is also the risk that, even if the validity of such patents is upheld, the court will refuse to stop the other party on the ground that such other party' s activities do not infringe our intellectual property rights. In addition, in recent years the U.S. Supreme Court modified some tests used by the USPTO in granting patents over the past 20 years, which may decrease the likelihood that we will be able to obtain patents and increase the likelihood of a challenge of any patents we obtain or license. We may be subject to claims that our employees and contractors have wrongfully used or disclosed alleged trade secrets of their former employers. As is common in the biotechnology and pharmaceutical industries, we employ individuals who were previously employed at other biotechnology or pharmaceutical companies, including our competitors or potential competitors. We may be subject to claims that these employees, or we, have used or disclosed trade secrets or other proprietary information of their former employers. Litigation may be necessary to defend against these claims. Even if we are successful in defending against these claims, litigation could result in substantial costs and be a distraction to management. If we are not able to adequately prevent disclosure of trade secrets and other proprietary information, the value of our technology and products could be significantly diminished. We rely on trade secrets to protect our proprietary technologies, especially where we do not believe patent protection is appropriate or obtainable. However, trade secrets are difficult to protect. We rely in part on confidentiality agreements with our employees, consultants, outside scientific collaborators, and other advisors to protect our trade secrets and other proprietary information. These agreements may not effectively prevent disclosure of confidential information and may not provide an adequate remedy in the event of unauthorized disclosure of confidential information. In addition, others may independently discover our trade secrets and proprietary information. Costly and time_consuming litigation could be necessary to enforce and determine the scope of our proprietary rights, and failure to obtain or maintain trade secret protection could adversely affect our competitive business position. We will need to expand our operations and increase the size of our company, and we may experience difficulties in managing growth. We currently have no full_time and 2 part_time employees. We also have 2 officers serving as part-time contractors. 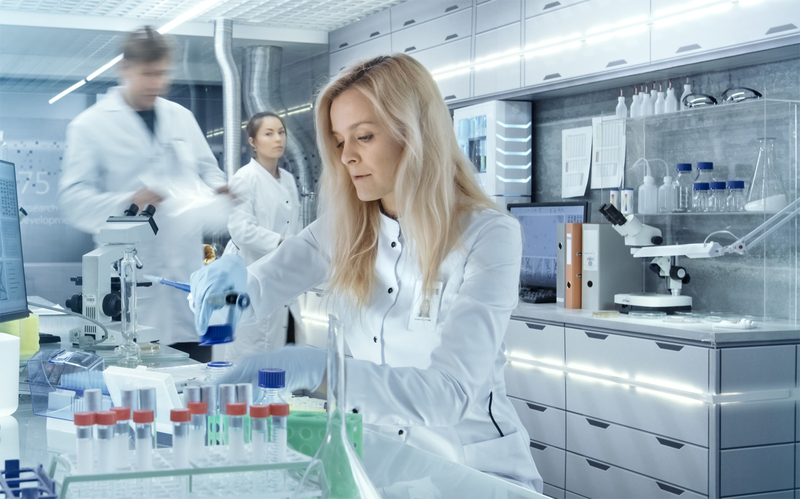 As we advance our product candidates through pre-clinical studies and clinical trials, we will need to increase our product development, scientific and administrative headcount to manage these programs. In addition, to meet our obligations as a public company, we may need to increase our general and administrative capabilities. Our management, personnel and systems currently in place may not be adequate to support this future growth. If we are unable to successfully manage this growth and increased complexity of operations, our business may be adversely affected. We may not be able to manage our business effectively if we are unable to attract and retain key personnel and consultants. We may not be able to attract or retain qualified management, finance, scientific and clinical personnel and consultants due to the intense competition for qualified personnel and consultants among biotechnology, pharmaceutical and other businesses. If we are not able to attract and retain necessary personnel and consultants to accomplish our business objectives, we may experience constraints that will significantly impede the achievement of our development objectives, our ability to raise additional capital and our ability to implement our business strategy. We are highly dependent on the development, regulatory, commercialization and business development expertise of our management team, key employees and consultants. If we lose one or more of our executive officers or key employees or consultants, our ability to implement our business strategy successfully could be seriously harmed. Any of our executive officers or key employees or consultants may terminate their employment at any time. Replacing executive officers, key employees and consultants may be difficult and may take an extended period of time because of the limited number of individuals in our industry with the breadth of skills and experience required to develop, gain regulatory approval of and commercialize products successfully. Competition to hire and retain employees and consultants from this limited pool is intense, and we may be unable to hire, train, retain or motivate these additional key personnel and consultants. Our failure to retain key personnel or consultants could materially harm our business. In addition, we have scientific and clinical advisors and consultants who assist us in formulating our research, development and clinical strategies. These advisors are not our employees and may have commitments to, or consulting or advisory contracts with, other entities that may limit their availability to us and typically they will not enter into non_compete agreements with us. If a conflict of interest arises between their work for us and their work for another entity, we may lose their services. In addition, our advisors may have arrangements with other companies to assist those companies in developing products or technologies that may compete with ours. Our chief executive officer, chief medical officer and our chief financial officer are currently working for us on a part_ time basis. Three of our key employees are currently part_time and provide services for other biotechnology development efforts. Specifically, John Climaco, our chairman and chief executive officer is also serving as a director for Moleculin Biotech, Inc., a company also actively developing anticancer drugs, and Matt Lourie, our chief financial officer, is currently also providing consulting services related to financial reporting to other public and private entities. Sandra Silberman, our chief medical officer, is also the Chief Medical Officer for New Products at Moleculin, as well as a consultant for JW Pharmaceutical Corporation, Synteract, Inc. and Trovagene, Inc. As we progress, if the full_time services of a CEO or CFO are required and the current officers cannot provide that level of commitment, we will need to identify a suitable CEO or CFO who can dedicate such time to our company. We can provide no assurance that we will be able to successfully identify and retain a qualified candidate for this position. We do not expect that our insurance policies will cover all of our business exposures thus leaving us exposed to significant uninsured liabilities. We do not carry insurance for all categories of risk that our business may encounter. In particular, we do not carry product liability insurance covering any clinical trials liability that we may incur. Although we intend to obtain such insurance before we commence any clinical trials, there can be no assurance that we will secure adequate insurance coverage or that any such insurance coverage will be sufficient to protect our operations to significant potential liability in the future. Any significant uninsured liability may require us to pay substantial amounts, which would adversely affect our financial position and results of operations. Although dependent on certain key personnel, we do not have any key man life insurance policies on any such people. We are dependent on John Climaco, Sandra Silberman, MD PhD, and Matthew Lourie in order to conduct our operations and execute our business plan, however, we have not purchased any insurance policies with respect to those individuals in the event of their death or disability. Therefore, in any of John Climaco, Sandra Silberman, MD PhD, and Matthew Lourie die or become disabled, we will not receive any compensation to assist with such person' s absence. The loss of such person could negatively affect us and our operations. We do not have the internal infrastructure necessary, and are not required, to complete an attestation about our financial controls that would be required under Section 404 of the Sarbanes Oxley Act of 2002. There can be no assurance that there are no significant deficiencies or material weaknesses in the quality of our financial controls. We expect to incur additional expenses and diversion of management' s time if and when it becomes necessary to perform the system and process evaluation, testing and remediation required in order to comply with the management certification and auditor attestation requirements. You should be aware of the long-term nature of this investment. There is not now and likely will not be a public market for the Units of SAFE (Simple Agreement for Future Equity). Because the Units of SAFE (Simple Agreement for Future Equity) have not been registered under the Securities Act or under the securities laws of any state or foreign jurisdiction, the Units of SAFE (Simple Agreement for Future Equity) have transfer restrictions and cannot be resold in the United States except pursuant to Rule 501 of Regulation CF. It is not currently contemplated that registration under the Securities Act or other securities laws will be affected. Limitations on the transfer of the Units of SAFE (Simple Agreement for Future Equity) may also adversely affect the price that you might be able to obtain for the Units of SAFE (Simple Agreement for Future Equity) in a private sale. Purchasers should be aware of the long-term nature of their investment in the Company. Each Purchaser in this Offering will be required to represent that it is purchasing the Securities for its own account, for investment purposes and not with a view to resale or distribution thereof. There is no guarantee that you will receive a return on your investment. There is no assurance that you will realize a return on your investment or that you will not lose your entire investment. For this reason, each purchaser should read the Form C and all exhibits carefully and should consult with its own attorney and business advisor prior to making any investment decision. Prior to the Offering the Company' s officers, directors and 10% shareholders beneficially own approximately 94.5% of the Company. Subject to any fiduciary duties owed to our other shareholders under Nevada law, these shareholders may be able to exercise significant influence over matters requiring shareholder approval, including the election of directors or managers and approval of significant Company transactions, and will have significant control over the Company' s management and policies. Some of these persons may have interests that are different from yours. For example, these shareholders may support proposals and actions with which you may disagree. The concentration of ownership could delay or prevent a change in control of the Company or otherwise discourage a potential acquirer from attempting to obtain control of the Company, which in turn could reduce the price potential investors are willing to pay for the Company. In addition, these owners could use their voting influence to maintain the Company' s existing management, delay or prevent changes in control of the Company, or support or reject other management and board proposals that are subject to owner approval. We do not anticipate paying any cash dividends for the foreseeable future. We currently intend to retain future earnings, if any, for the foreseeable future, to repay indebtedness and to support our business. We do not intend in the foreseeable future to pay any dividends to holders of our shares of common stock. Purchasers will not become equity holders until an IPO or sale of the Company. Purchasers will not have an ownership claim to the Company or to any of its assets or revenues for an indefinite amount of time and depending on when and how the Securities are converted, the Purchasers may never become equity holders of the Company. Purchasers will not become equity holders of the Company unless the Company completes a future round of financing great enough to trigger a conversion. Purchasers will not have voting rights until they become common stockholders, which may never occur. Purchasers will not have the right to vote upon matters of the Company until and unless they become shareholders, which may never occur if we fail to raise at least $8.0 million in a follow_ on offering. In a dissolution or bankruptcy of the Company, Purchasers of Securities which have not been converted will be entitled to distributions as if they were common stock holders. This means that such Purchasers will be at the lowest level of priority and will only receive distributions once all creditors as well as holders of more senior securities, including any preferred stock holders, have been paid in full. Unlike convertible notes and some other securities, the Securities do not have any 'default' provisions upon which the Purchasers will be able to demand repayment of their investment. The Securities will either be converted into common stock upon the completion of an $8.0 million offering, or the Securities will end up worthless. Investors will have to rely on Republic to monitor the Company's Escrow Account to ensure enough funds are kept until an Escrow Release Event. The Company has agreed to place certain proceeds of the Offering into an Escrow Account until the Company obtains the rights to a worldwide exclusive royalty_bearing, license to the chemical compound commonly known as Berubicin from HPI. Investors will have to rely on Republic to monitor the Escrow Account to ensure sufficient amount of the proceeds of the Offering are kept in the Escrow Account and declare a default in event the Company does not keep sufficient funds in the Escrow Account. Investors' inability to monitor the Escrow Account themselves may hurt their ability to properly monitor the Company's covenant to maintain certain funds in the Escrow Account. The Company may never receive a future equity financing or elect to convert the Securities upon such future financing. In addition, the Company may never undergo a liquidity event such as a sale of the Company. If neither the conversion of the Securities nor a liquidity event occurs, the Purchasers could be left holding the Securities in perpetuity. The Securities have numerous transfer restrictions and will likely be highly illiquid, with no secondary market on which to sell them. The Securities are not equity interests, have no ownership rights, have no rights to the Company' s assets or profits and have no voting rights or ability to direct the Company or its actions. In addition to the risks listed above, businesses are often subject to risks not foreseen or fully appreciated by the management. It is not possible to foresee all risks that may affect us. Moreover, the Company cannot predict whether the Company will successfully effectuate the Company's current business plan. Each prospective Purchaser is encouraged to carefully analyze the risks and merits of an investment in the Securities and should take into consideration when making such analysis, among other, the Risk Factors discussed above. THE SECURITIES OFFERED INVOLVE A HIGH DEGREE OF RISK AND MAY RESULT IN THE LOSS OF YOUR ENTIRE INVESTMENT. ANY PERSON CONSIDERING THE PURCHASE OF THESE SECURITIES SHOULD BE AWARE OF THESE AND OTHER FACTORS SET FORTH IN THIS FORM C AND SHOULD CONSULT WITH HIS OR HER LEGAL, TAX AND FINANCIAL ADVISORS PRIOR TO MAKING AN INVESTMENT IN THE SECURITIES. THE SECURITIES SHOULD ONLY BE PURCHASED BY PERSONS WHO CAN AFFORD TO LOSE ALL OF THEIR INVESTMENT. Pretty cool idea! Very excited to be part of it!!!!!! We love this idea and are so glad that normal families like ours are able to participate in these early stages. This is usually only for the very rich! Thank you for the opportunity. I invested because it sounds that BERUBICIN is a drug that it's needed. Breakthrough therapy. Excited about its potential. I am excited about the possibilities of this drug. I invested because I believe in MD Anderson and the people that are associated with this great institution. And I believe that ANY drug that can give a family additional time with their afflicted loved one is worth a shot! 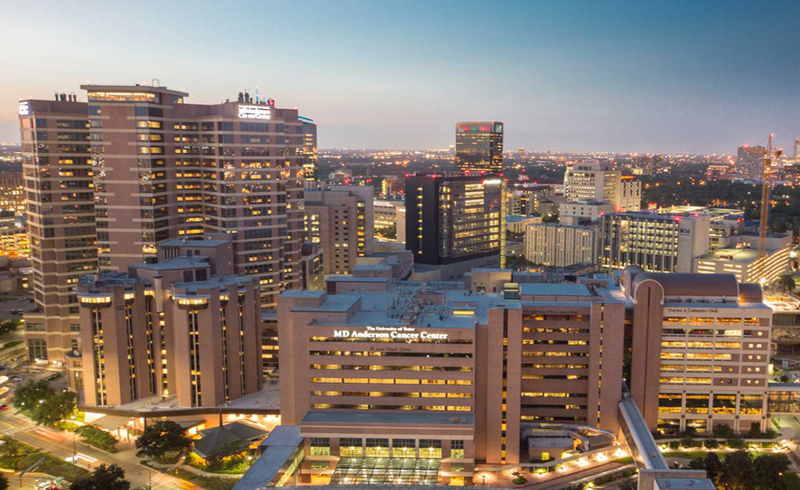 MD Anderson is a leader in cancer research and this is a highly experienced team. Having even limited early data showing activity in GBM is monumental. If this can be repeated in future trials, it will be a huge win for patients...and shareholders! I believe in the technology. I have been tracking this compound for many years and I am glad it is going back into clinical trials. I loved finding out about this technology! Especially since it comes from MD Anderson Cancer Center! i believe in this management team and its ability to address brain cancer. I'm so excited to lead CNS Pharma. It's an honor to work with such a world-renowned and passionate team, all of whom are laser-focused on one thing: Developing game-changing therapeutics for central nervous system cancers. As a former researcher at the Allen Institute for Brain Science, I'm well aware that Glioblastoma is always fatal. With CNS holding a promising molecule (developed at MD Anderson) that crosses the blood brain barrier, the investing decision was easy. As a Physician, I see the potential that this drug has to save lives. CNS Pharm has the technology to develope many drugs, and the potential is there to cure several diseases of the nervous system and the brain. I believe in cancer research. The technology is amazing and the need is so great! It has a strong prospect for rapid growth based on prospectus. I'm very excited to be a part of this breakthroigh technology and to see how it could potentially save lives in the future! I invested this because I truly believed this would help many many patients that in needs of help and hopefully I will be witnessing the success of this new invention! And I am so looking forward to it and wish nothing but the best!!! I have been convinced that drugs like Berubicin will effectively supplant surgery and radiation for certain malignancies. There is a clear need for better treatment options in glioma's. Hopefully CNS Pharma can improve the prognosis of these patients. My Mom's partner has this cancer and is a 40 month survivor perhaps due to a similar clinical trial. I invested $250.00 because of my son, who at seven years old, passed away 20 years ago from Brain Cancer (Brain Stem Glioma). Brain cancer and cancer in general is a terrible thing to be diagnosed with. Patients need all the help they can get. Close friend just died from brain cancer. I invested because my wife died from a glioblastoma 15 years ago, even after 2 successful surgeries, radiation, and chemo. I want to help find a successful treatment so others can have a better chance of surviving this very difficult form of cancer. Glioblastoma is a terrible condition. It needs to have successful treatment. Here's hoping you can make a difference. I invested $250.00 in hopes of accelerating research in one of the most devastating and elusive types of cancer that has, in the past, evaded treatment. Family history of brain cancer. I invested because I believe in medical advancements. I believe that the medicine that i am investing in with help a lot of people with stage 4 brain cancer. I feel this company has a great potential to bring this new drug to market and that there will be a successful future for CNS Pharma. It seems it could be successful. Seeking to invest in innovation & technology. I've had a very close friend die of an inoperable brain tumor several years ago. I see a great need for this type of drug that breaks the brain/blood barrier in order to reach and destroy this type of tumor! Investing from the heart hopefully will benefit the thousands that will live because of the research performed by CNS Pharma. It sounds like a great plan for success. There should always be new treatment options and methodologies for fighting cancer. I invested because of the possibility CNS can help cancer patients. I think its a great porject which i want to be part of it. I have experience with other pharma companies that have needed investment money at this stage. The product looks like a winner. I have had this particular brain tumor, and though in remission, it may still come back. This cure is important to me. Want to see those with this cancer have a chance to survive. I knew a 50 year old man with several children--some young--who battled this cancer for two years. His death just devastated his wife and kids. I invested because we need to get rid of cancer! I invested in CNS Pharma because ... I recently lost my mother (about 2yrs ago) to BREAST CANCER. And even though this was different type of cancer disease, I'm very hopeful that CNS Pharma will medically find a cure for all future CANCER DISEASES. My first wife died of brest cancer. She was treated at MD Andrerson. Sounds like CNS has a genuine goal to achieve success. My career was in a health-related field. I have a friend with this terrible condition. My hope and prayer is that your product helps saves the lives of many people! Like to support this cancer research helping others with your goal in helping others , with cancer treatment. Lost my wife to GBM. Nothing out there works. I invested to see if the medical field have created a breakthrough in medicine by shrinking/ destroying brain tumors. This is something I want to be apart of! Hoping they succeed in helping GBM patients. In honor of my sister-in-law. This company has great potential. GBM therapies are a real unmet medical need with little advance in overall or symptom free survival in the last decade - despite huge advances in most other cancers due to PD-1 inhibitors and similar approaches. A drug that penetrates BB may help. My aunt has glioblastoma and I believe in the potential of improved treatment options. Hopefully CNS Pharma will shed new light on the horrific disease of brain cancer. More and more people receive the unfortunate diagnosis of cancer. This new concept and drug is revolutionary. I want to be at the forefront of this new medical technology that has the potential to safe countless lives in the future. I believe its science is breakthrough and will benefit patients! I have personal experience with GBM and other forms of Brain Cancer. Having lost many friends to this horrible disease I know how important it is to have drugs that can pass through the blood brain barrier. CNS has developed a promising treatment for many patients. I am a Glioblastoma csncer patient. This is a major technological breakthrough that has a real chance to impact a lot of lives in a big way. Have lost many family and friends to cancer. It's time we put a stop to all these tragic deaths. I love that they let me. I love what they are doing. I love that they want others to benefit. Cancer has been one of the hardest diseases to eradicate. My father was a leading Oncologist, now retired, fought hard against it all his life. I invested in CNS b/c of potential to cure, not treat, this disease. Having worked as a registered nurse for over twenty years I have personally seen the horrible effects a disease like cancer can have on an individual and their family. I would love to see people with Brain Cancer have better chance of survival and to live a long and healthy life. Im Praying that CNS Pharma has the solution!! Highly innovative and brilliant biotech venture . This looks like a very good opportunity! Invested $500 05/18/2018 in hopes that not only will this anthracycline work for glioblastoma but other cancers as well. I have too many family members and friends with cancer. We need to do all that we can. Berubicin is very promising drug for treating Glioblastoma and I would like to be a part of bringing it to market. I'd like to help people with cancer! Any potential way to help save lives is important. Beating the insidious disease is at the forefront of my existence! It is a privilege for me to invest in this Company which help improve the health of people in the United States. we must win the fight against brain cancer!!!! The philosophy of the company and the potential for making a great contribution to medicine and humanity is rewarding. To finally see a. Trial that works. I believe in this great idea. Solid and experienced management structure in breakthrough technology. Should be a winner for the world! My wife is a nurse, she worked in Neural recovery . She told me about the death sentence of this Cancer, $500.00 is towards the cure. I know some people who have suffered and died from this terrible disease. I invested because I believe that you can help save a lot of lives with the new drug that you are developing for brain cancer. I believe this company is on the threshold of an incredible cancer fighting system that will save countless lives in the near future. I invested because my father died of stage 4 glioblastoma. I invested because I want to help fight against Cancer!! Your team seems to be committed and looking to the future to cure several different cancers. I invested because this is the only formula that crosses the Brain Blood Barrier, THE ONLY ONE, and it works as advertised. This will have a huge impact on hundreds of thousands of lives. Just don't let 'Big Pharma' buy it and bury it to no benifit. I invested because I believe that berubicin with CNS Pharmaceuticals will really work and be a blessing for millions of people worldwide battling cancer. Because l think it is a great opportunity to help cancer patients get the help that is needed, now the 300.00 dollars was just a shot at investing, but we will see, it's about helping cancer patients, not how much money that can be made. Technology designed to treat the brain cancer can possibly revolutionize the treatment process. It sounds like an amazing discovery which will be life saving. Because it looks like a promising product-treatment. If they can live up to their promises it should be profitable! a member of my family died of cancer leaving a hole in our lives. if this could make a difference then I am fully invested. I am hopeful for this treatment. As a nurse, I would be happy to think I have helped fund a project like this that might stamp out another kind of cancer! I love the potential for what this can achieve. I just want to do my part and help out in any way I can to see a possible cure for cancer be brought to the masses. This is potentially groundbreaking and an opportunity to invest in it is something I could not pass up. Best wishes to the team. This drug could be a major player in defeating cancer. Our family supports Dr. Monje at Stanford and Jim Olson at the Fred Hitch lab and we’ve seen our funds produce results in this very important fight, having lost far too many loved ones to cancer. A common thread through humanity is our vulnerability to life-changing diseases. I'm excited to invest in a company that will help so many people live longer lives. The goal is noteworthy and could benefit many people. Best wishes for CNS Pharma's success. I invested because I believe this is very important work and I hope that this company can help to save many lives. Aside from its potential financial returns, this investment has its worthy cause in savings lives. Who knows where this will extend its power to heal beyond cancer of the brain. I wanted to invest because my mother died from brain cancer. I invest in the future, medical and technology is the future. I believe in complete body health. Either through natural methods or scientific. Hopefully branches to other treatments and cures. In memory of my mother. I believe in what they are hoping to achieve. It's a valuable cause. I want them to succeed. Multiple founders and CNS is the next thing. I believe in any good cause that can possibly cure Cancer. My father passed away from Acute Leukemia and my sister is a Stage 3 Colon Cancer survivor. My sister's ex husband was just diagnosed with a brain tumor. I Invested to help bring these findings to the public. strictly from my perspective, having observed pharma and biotech companies in the past, these types of investments can be highly lucrative despite inherent risks. I want to be an investor and this company has a product that will hopefully help those suffering. Small investment in CNS can be a big contribution in the lives of patients with brain cancer. We need to find an answer for Cancer!! The company sounds like it is on the right track and I want to be a part of it. This company's innovation and approach to cancer research is inspiring. I am investing in this product because it will make a difference in the life of a lot of people, and if in any small way I can be part of this breakthrough I want to make a small contribution to continued its' researched. One day this technology would help others prepare to administer assistance to those in need. Had and have to many friends whose lives were ruined by this terrible disease. I support the search for cures for cancer. My father was in excellent health at 83 when diagnosed with glioblastoma but died within 5 months. I wish something like this had been available! Because of money I inherited from him and invested, there may be a better chance for someone else. I am an MD. I have had 2 good friends die of this disease. It is good ideal to discovery to cure patient. It is not only safe patient 's life and it will be safe family's patient 's heart. I invested because I hate cancer and I hate diseases. Hoping this company continues to scale research wise and financially. Drugs ability to cross the BBB and promising clinical trials. My father was diagnosed with a glioblastoma and fighting! We need to find a cure and fast to beat this deadly disease. I believe this is the right steps in finding a cure! I invested because of the potential of a quick exit. This is a breakthrough that will likely be scooped up by a big player or a great IPO. I invested because my father died of brain cancer in 1967. My prayer ever since then has been for someone to find a cure. I invested because we’re talking about a drug to help eliminate brain cancers; enough said. Gamechanger for the medical community. I support advanced/advancing technology to solve medicine's most difficult problems and I believe that CNS Pharma's technology/solution holds great promise in treating CNS cancers. I want to see a very real solution to this insidious type of cancer. I read their Form C, read up on backgrounds of founders, AND because CNS was rec by an advisory service to which I subscribe. I want to find a cure for glioblastoma and it is my first investment to earn needed income.